These 12-pantry essentials are key to making fast, easy and healthy dinners at home. 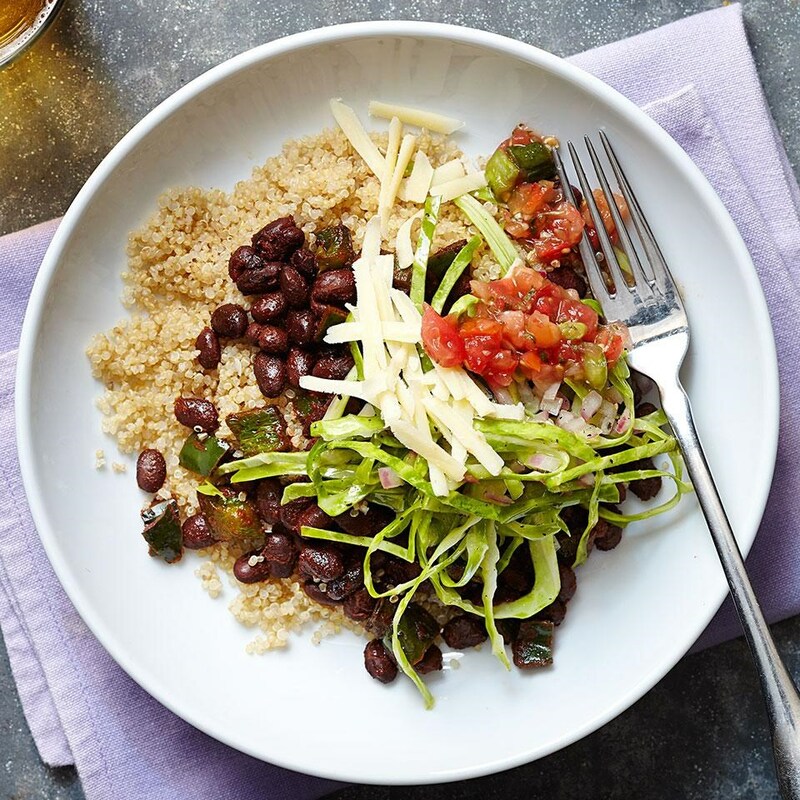 It's no surprise that making a healthy dinner is a whole lot easier when you have a plan in place. Taking the time over the weekend to take inventory of what you already have on hand, write out a menu and grocery shop can make dinnertime much easier. But the reality is, things don't always go as planned and some nights you're left standing in your kitchen at 5 o'clock scratching your head trying to figure out what to make. 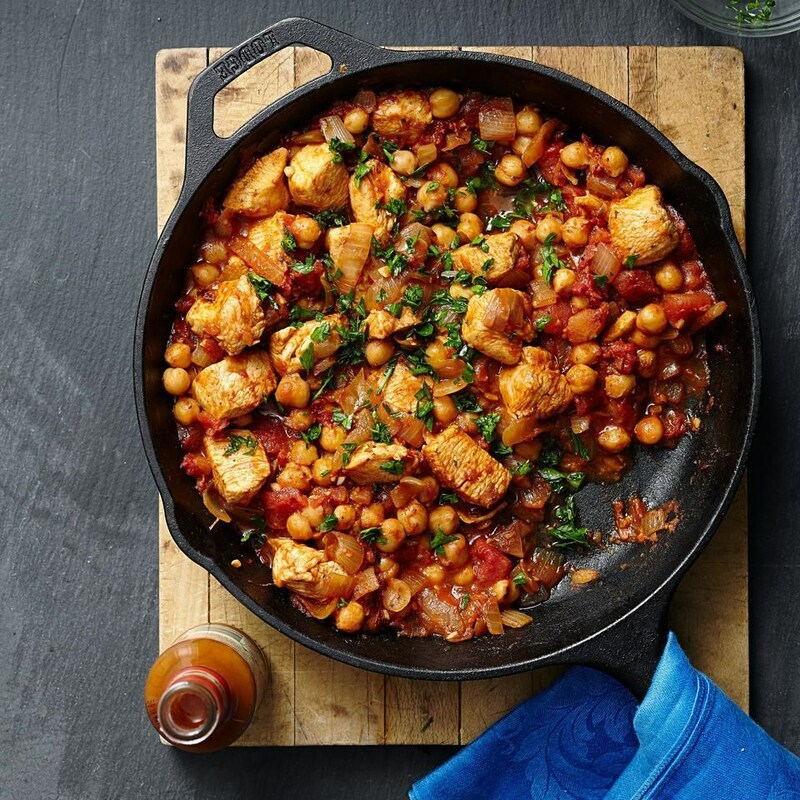 It's nights like these when you can rely on pantry staples to make healthy, affordable and fast dinners at home. These 12 pantry essentials are key to making fast, easy and healthy dinners at home. Check your kitchen for these items, add them to your grocery list, keep them stocked and try the simple dinner ideas that use them. 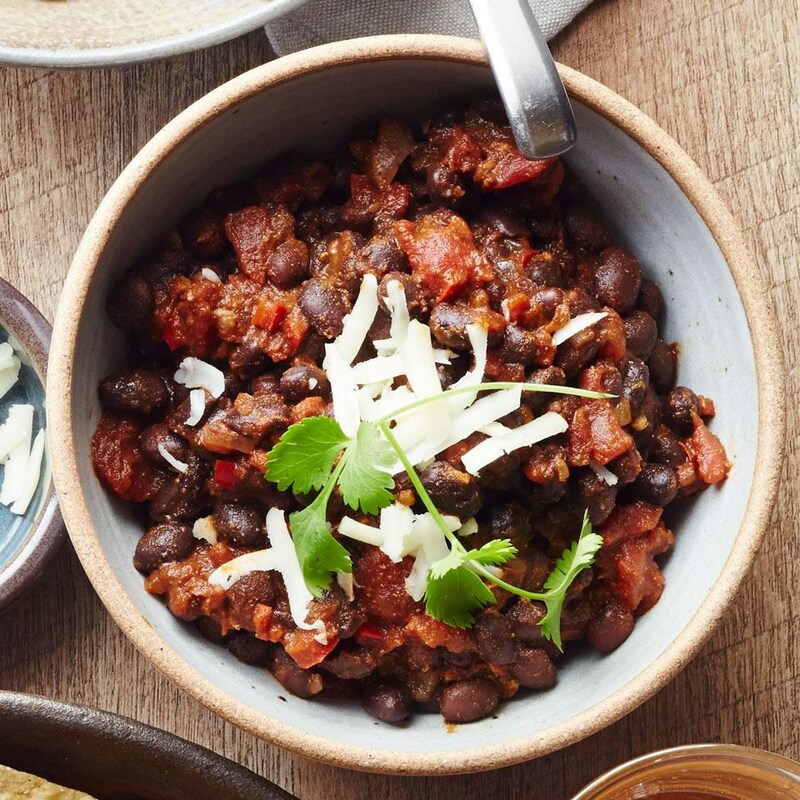 A healthy, high-fiber protein source that's super-affordable and versatile, beans are a great base for veggie burgers, soups and stews, and make a simple salad topper. Choose no-salt-added or low-sodium options, or rinse the beans before using to get rid of excess salt. Quick-cooking lentils, like French lentils or split lentils, are also easy alternatives to stash in your pantry. The perfect base for a fast one-pot dinner, pasta sauce or flavorful soup, canned tomatoes are rich in vitamin A, vitamin C and the antioxidants lycopene and lutein, which have been shown to keep your heart and eyes healthier. When tomatoes are cooked (like in canned tomatoes), lycopene is made even more available and the antioxidant activity is higher—win! Whole tomatoes tend to have more flavor than diced or crushed tomatoes, but using the latter is a great way to save on prep time. Look for tomatoes that don't have added sugar or salt. Fast-cooking whole grains, like quinoa, whole-wheat couscous and whole-wheat pasta are a healthy component of a balanced meal. Whole grains are a healthier option than their refined counterparts (think white pasta) and can keep you feeling full and satisfied for longer, thanks to the added fiber content. And it doesn’t take much to make them taste delicious. A few herbs and spices and you’re good to go. When making grains with a longer cook time (like brown rice) plan to make extra and freeze what you don't use, or simply stock up on precooked rice packets (like Uncle Ben’s Ready Rice) for a faster dinner shortcut. These flavorful veggies can be tossed in a basket at the bottom of your pantry and last for weeks (same goes with hearty potatoes, sweet potatoes and winter squash). Throw them in a stir-fry, or mince and add to a dressing or marinade. Not only do they add tons of flavor, but also as members of the Allium family, which includes onions, garlic, shallots, leeks and chives, these veggies have protective compounds that may help ward off cancer and feed healthy gut bacteria. Citrus can add next level flavor to any marinade or salad dressing (or cocktail! ), so having a few lemons, limes, oranges or grapefruits on hand is key. You can keep lemons and limes out at room temperature for about a week, or store them in your refrigerator's crisper drawer and they'll last for a good few weeks. Packed with vitamin C and other antioxidants, citrus fruit can boost your immune system and increase "good" HDL cholesterol, while lowering "bad" LDL cholesterol and triglycerides. Fresh herbs are a must at times, but when they're not on hand, a well-stocked spice cabinet will do the trick. With just a few shakes of the jar you can transform a bland dinner into something amazing. Plus, research credits herbs and spices with a number of health benefits—cayenne pepper can boost metabolism (thanks to the compound capsaicin, which gives peppers their signature spicy flavor), while spices like ginger, cinnamon and turmeric can decrease inflammation throughout the body. Some must-haves to keep on hand: thyme, cayenne pepper, cumin, ginger, cinnamon and, of course, salt and pepper. The bulk section (if your store has one) is a great place to stock up on spices, especially the ones you use less frequently. You'll save money—the unit price is always lower in bulk—and can buy smaller amounts when you don't need a full jar's worth. 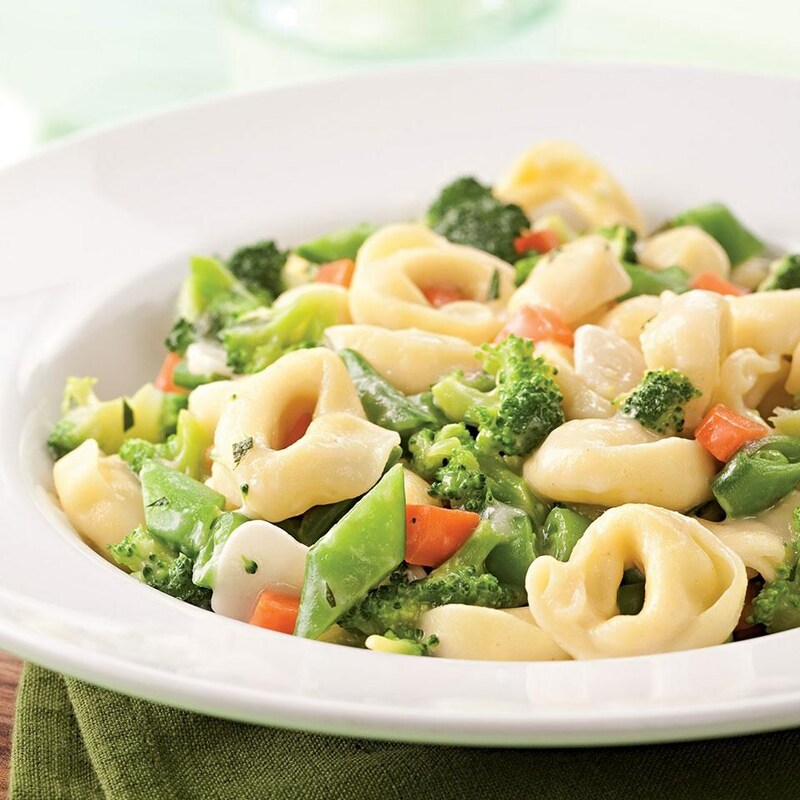 Frozen vegetables are perfect when you're in a pinch and need to get your vegetable quota up for the day. Their flavor may not stand up to fresh in-season vegetables from the farmers' market, but they're cheap and you can keep them in your freezer for months, so there's no excuse to not have veggies at every dinner. Typical frozen veggies like green beans and broccoli are reliable options, but try mixing it up with pearl onions, edamame and artichokes for a fun alternative. Look for no-salt-added options. Having a chunk of cheese on hand can really help to spruce up a salad, make a tasty topper for a hot bowl of soup, or even serve as a great snack to nibble on as you're making dinner. Hard cheeses like Parmesan or Pecorino can last in the fridge anywhere from 3 to 6 weeks or longer, but skip the preshredded options, as they can go bad faster. A little bit of these flavorful cheeses go a long way so you don't need much. Plus, having a small serving of cheese each day (about 2 ounces) is linked to various health benefits, like decreasing your risk for diabetes, heart disease and stroke. Although they're typically thought of as breakfast fare, eggs make for a satisfying high-protein and quick-cooking dinner. 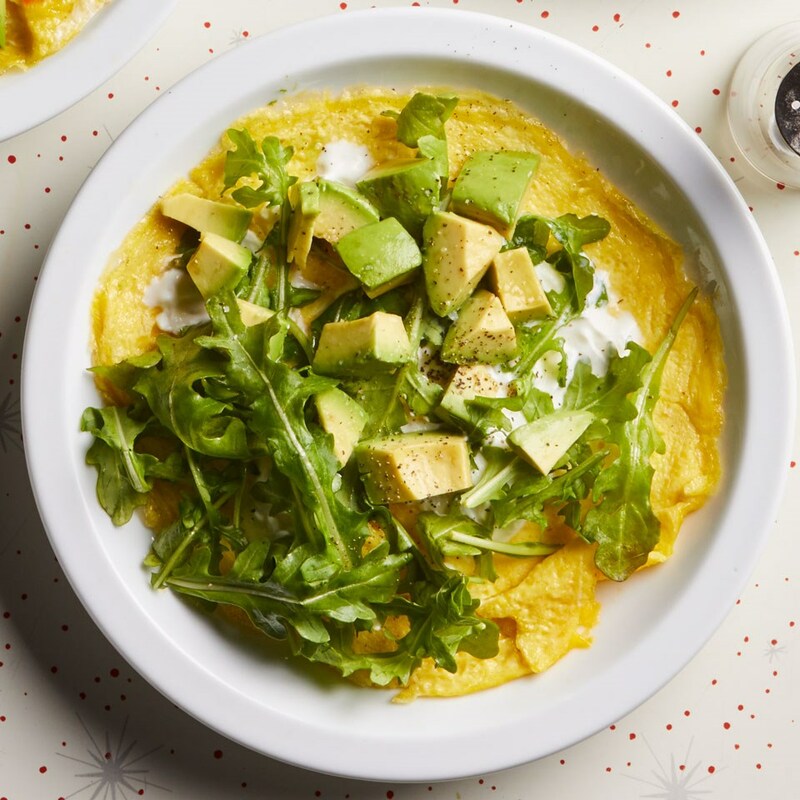 Whip up a veggie omelet, make a hearty frittata or nestle eggs into a hash and bake. Eggs typically last in the fridge for 3 to 5 weeks, but chances are you'll go through them before then. Nutty sesame oil infuses flavor in Asian-inspired dishes; avocado oil and canola oil can be heated to higher temperatures, making them ideal for stir-fries; and olive oil can be used for everything from roasting to sautéing and is a go-to for a healthy homemade salad dressing. These plant-based oils are made up of heart healthy fats that can help prevent high blood pressure and reduce the risk of heart disease. And vinegar does more than add a tangy taste to foods. Research says certain vinegars may help tame high blood pressure (balsamic vinegar), minimize blood sugar spikes (red-wine vinegar) and improve blood cholesterol levels (apple cider vinegar). Try one of these simple homemade salad dressings as an alternative to store bought, which can have too much added sugar and salt. Premade broths and stocks help to add delicious flavor, quickly. 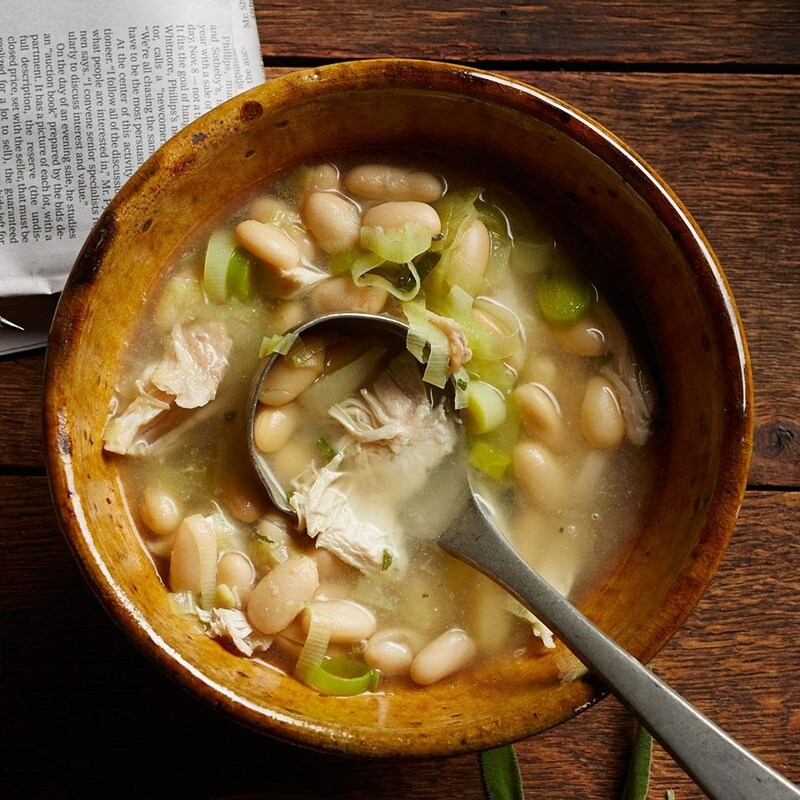 Opt for no-salt-added or low-sodium broths as they're typically heavy on the salt otherwise. If you're cooking for two, the smaller 14-ounce (2-cup) cans are a great way to use just what you need. If you are using the larger 32-ounce boxed broth, make sure to use any remaining broth within the week. Be cautious when purchasing bouillon cubes, pastes or powdered mixes as many options tend to be higher in sodium. Canned coconut milk is a fantastic way to make creamy dishes without adding heavy cream. It makes a delicious base for curries, stews and soups. 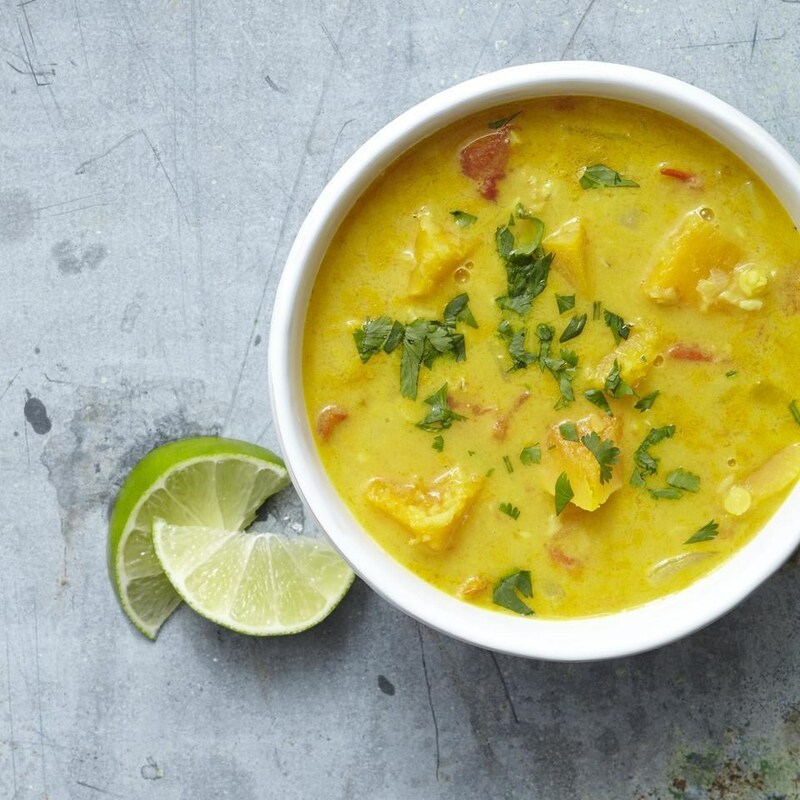 Whipping up an easy coconut curry is a great way to use up leftover veggies at the end of a week. If you're looking to cut back on calories, choose the "lite" version, which still has plenty of flavor for fewer calories.